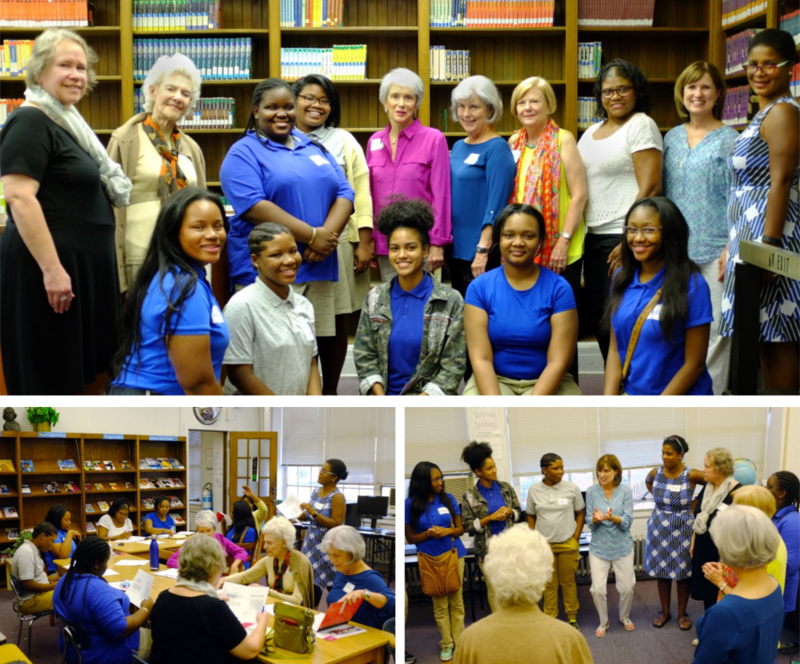 Nora’s Playhouse is excited to be spear-heading The Nora Project: Women Write, an intergenerational 10-week workshop in Montgomery, AL bringing together teenage girls from Sidney Lanier High School and elders women from the Montgomery community. Meeting once a week, the participants explore the art of storytelling though theatrical writing and performance techniques. In the process of telling their stories to women of another generation, some important gaps are bridged. Halfway through the workshop, each teenage girl is paired with an elder woman to share their life stories in more depth. The participants are then tasked with writing a 10-minute play inspired by something she heard in her intergenerational partner’s story. The workshop culminates when experienced local actors read these original short scripts from the stage at Lanier High School to live audience. Caroline Reddick Lawson, Artistic Director of Nora’s Playhouse, facilitates, with Phadra Foster, writing instructor at Alabama State University, teaching the playwriting component. Our inaugural workshop took place September-December 2016. Our second workshop is now is session with the final presentation of their pieces taking place at Sidney Lanier High School on April 16, 2019. To view some photos from the final presentations of our inaugural year of The Nora Project, check out our blog post from December 12, 2016. Photos from our inaugural session of The Nora Project in the fall of 2016. Special thanks to NYTW for sharing their materials from Mind the Gap, the inter-generational program they have sponsored since 2009. As Director of Education there at the time, Caroline helped to develop the program at NYTW and we are grateful to have their blessing to shape it into The Nora Project in Montgomery.